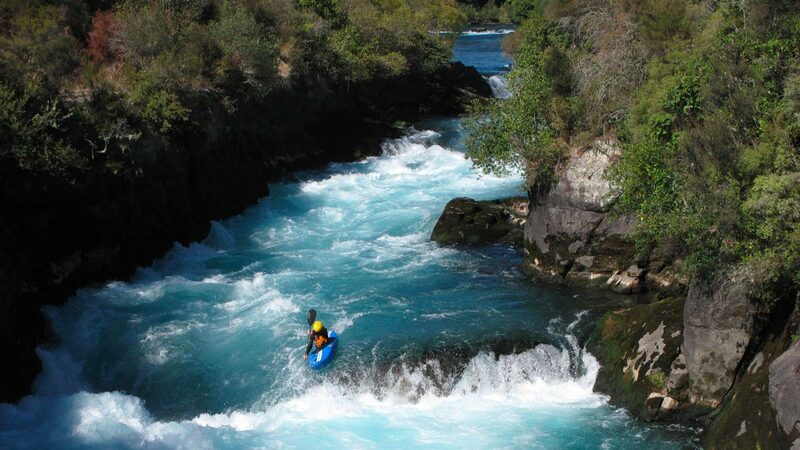 River kayaking in New Zealand is possible all year round, all around the country. Not all rivers are born equal, though. 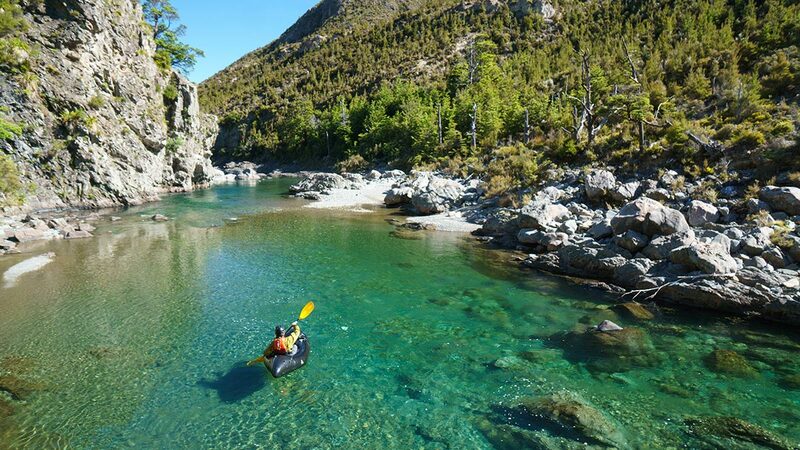 Here's a shortlist of the very best rivers for kayaking in New Zealand, in our humble opinion. 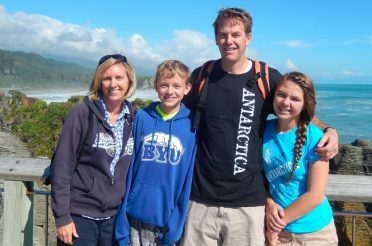 Why river kayak in New Zealand? 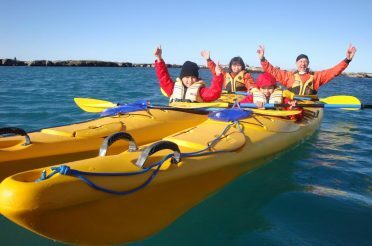 Great kayaking locations around New Zealand’s North and South islands include some open ocean, mirror-like lakes and rugged cove-laden coastlines. Each one offers its own advantages. For wildlife spotting, you can’t beat the open sea where seals, dolphins and whales can be your companions. 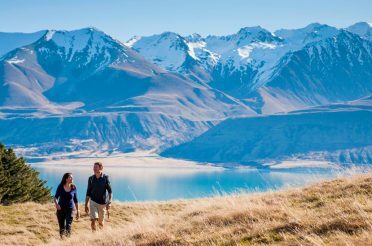 For tranquility and photo opportunities, New Zealand’s best lakes provide a better backdrop than any photography studio could ever hope for. River kayaking in New Zealand, though, is about as good a bet as any for combining all of these elements into one place. And these places are the best of the best, each offering a mixture of challenge and comfort, amazing landscapes and beautiful wildlife. 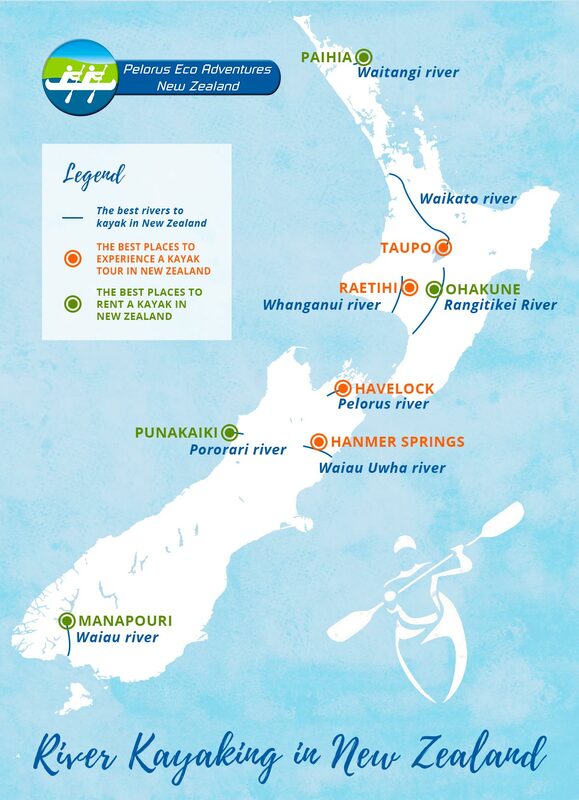 To make planning your New Zealand river kayak trip a bit easier, we’ve even pointed out the top river kayaking tours and river kayak rental outlets at New Zealand’s most beautiful, often lesser-known rivers. The name may suggest that the sea is the main attraction here — and there’s certainly no shortage of beautiful bays and islands — but visitors who ignore the Waitangi river when in this beautiful part of the world are really missing out. The Waitangi river inlet is drenched in low-hanging mangrove forest and rich in native New Zealand wildlife, both flora and fauna. There’s no better way to explore the mangrove forests than paddling upriver, at your own pace, in a kayak, and your just reward for making the journey inland is the stunning, unique horseshoe Haruru waterfall. Giving its name to an entire region and being New Zealand’s longest river certainly make it hard to call the mighty Waikato ‘off the beaten track.’ However, lots of kayakers and tourists dismiss the Waikato as being long, flat and uninteresting — and that’s just flat out ignorant. 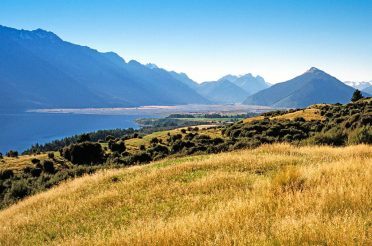 A world away from the languid populated plains around Hamilton are chiselled pumice gorges, dramatic cliffs throwing bungy jumpers down overhead, incredible kayak trout fishing river arms, crystal clear swimming holes, and soothing thermal hot springs. The Waikato has lots of faces, and it’s worth seeking them out by kayak. Winding its way through deeply carved gorges of the Kaimanawa and Ruahine ranges in the central North Island, the Rangitikei offers some dramatic river scenery without the big crowds you get elsewhere. Think huge papa bluffs, lush native bush clinging onto rocky cliffs, and waterfalls slicing through the pristine forest every now and then. The river is also known for its unique boulders — but don’t worry, they won’t get in the way of a great kayak trip, and the river is blessed with multiple stretches of grade one and two rapids. Sleepy sections of secluded tranquil pond-like water open up into wide river gorges framed by stark rock formations covered in countless clinging ferms. On top of its beautiful scenery and photo opps, the biggest attraction on this beautiful river may well be mysterious Mangapurua Landing — otherwise known as the “Bridge to Nowhere”, a name that sums it up with just the right amount of suspense. Sneaking into the beautiful bush area of Marlborough from the head of Pelorus Sound, the Pelorus drifts through some seriously stunning scenery. 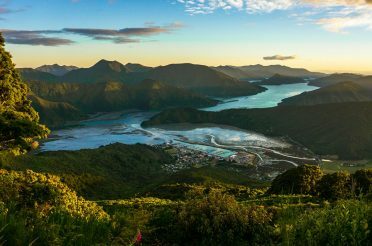 Better yet, in addition to being among New Zealand’s most beautiful rivers, the Pelorus is rich in native New Zealand flora and fauna — including a rare opportunity to see one of New Zealand’s only native land mammals, the long-tailed bat. 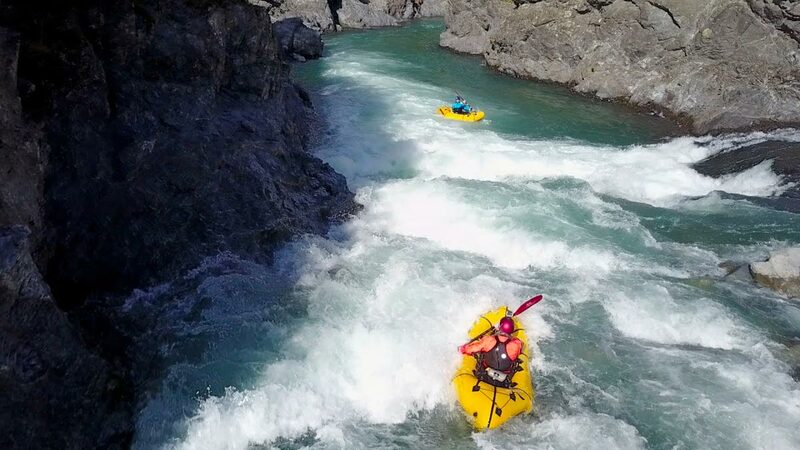 While best known as the South Island’s premier natural thermal hot pools, Hanmer Springs is also the entry point to one of New Zealand’s best river kayaking locations. Native trees, winding gorges, gushing waterfalls and gentle to getting-serious rapids, the beautiful Waiau Uwha river offers a lot for river kayaking trips suitable for all ages and experience levels. Not to mention the fact you can relax and warm up at Hanmer Springs at the end of the day. 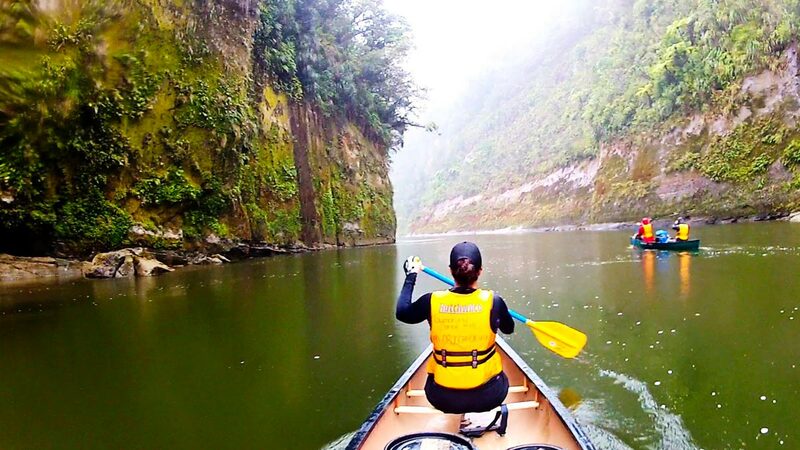 Blessed with majestic limestone gorges and less than a mile from Paparoa National Park’s famous Pancake Rocks and Punakaiki blowholes, the Pororai offers it all in terms of river kayaking trips in the South Island. 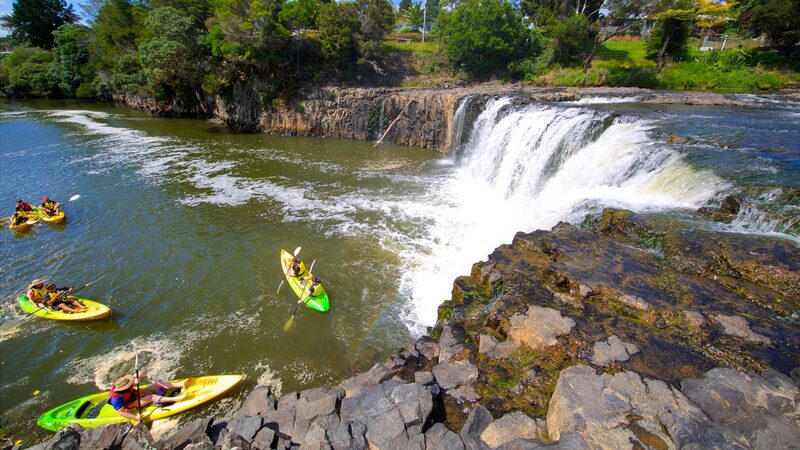 The pristine Pororari lagoon is ideal for families, first-timers and kids, while the upper reaches of the gorgeous Pororari river provide plenty of challenges for more experienced or endearing river kayakers on the lower reaches of Cave Creek. A beautiful region of New Zealand that needs no introduction, Fiordland isn’t most famous for its rivers. However, that doesn’t mean the Waiau doesn’t deserve the kind of respect that the region’s lakes and sounds enjoy. 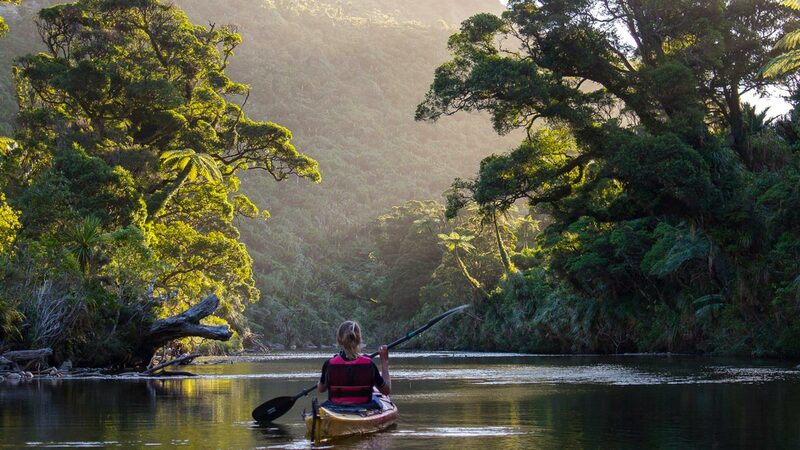 All the serenity, tranquility, and incredible power of nature that makes Fiordland unforgettable for visitors is on display when you kayak the Waiau river. 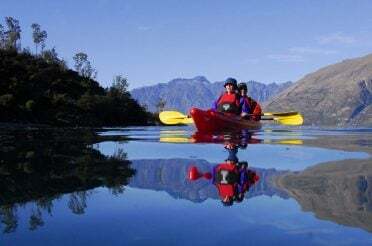 It’s connected with beautiful Lake Manapouri, so on the off chance you’re not satisfied by the scenery and serenity of the river, you can easily tack a lake kayak tour onto a river kayaking trip from Manapouri. Taking off right from Taupo township, this year-round, 2-hour tour is the best way to discover the Waikato river by kayak. They’re also handily located should you like to combo the Waikato with a one-, two-, three- or four-day tour on the Rangitikei river! These guys take you straight to the best spots on the river, adaptable to timetables and preferences. 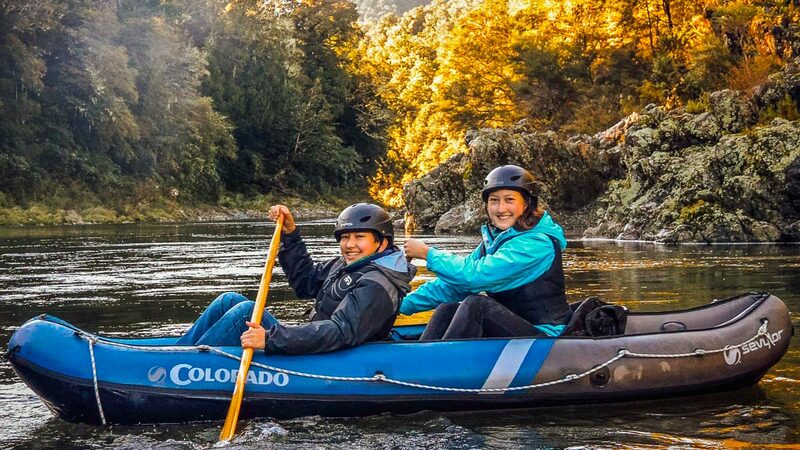 Their 1-day river kayak tour option includes a jet boat ride from Pipiriki to the Bridge to Nowhere; while on the 2-day option you can canoe a gorgeous part of the river from Whakahoro and spend the night among totally unspoilt nature at John Coull. The famous “Hobbit Kayak Tour” is surely the best way to bob down the Pelorus, just like Bilbo and the dwarves did in Sir Peter Jackson’s film adaptation of Tolkien’s The Hobbit. 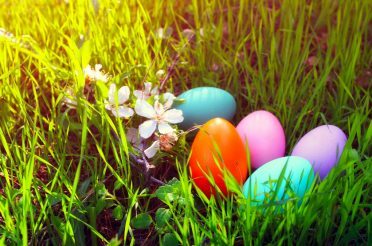 The trip is suitable for first-timers and kids from 6+, and with morning and afternoon departures from Havelock you can easily combine it on the same day as a ferry crossing from Wellington! Get into the beauty of the Waiau Uwha river gorge on a full-day, fully-guided river kayak tour from Hanmer Springs with Hanmer Springs Canoes. 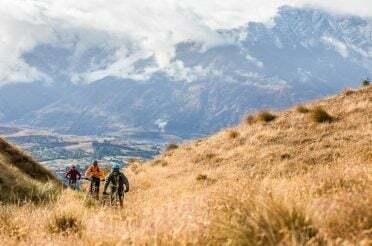 You’ll get a picnic lunch, jet boat return ride, and safe-as-houses inflatable vessels supplied as well as all transport from and to Hanmer Springs.